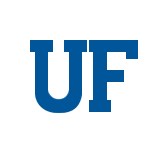 The UF CTSI Translational Workforce Development group has a FWS student assistant opportunity for one or two students. Ideal candidate is a available to work for 10 hours/week. Preferred work days are Wednesday and Friday, but this is negotiable. Please upload your resume, a print screen of your financial aid letter, and a statement listing specific days of the week and hours during which you will be able to work.